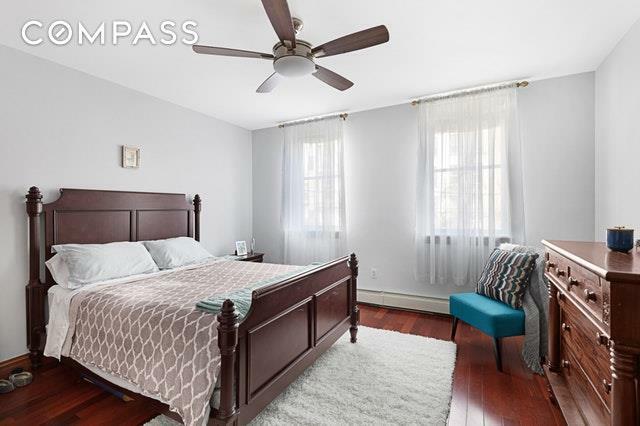 Sunny and sweet, this boutique condo unit is ready for you to move right in. The open layout has generous space for living and dining, and a private balcony for having your morning coffee al fresco. 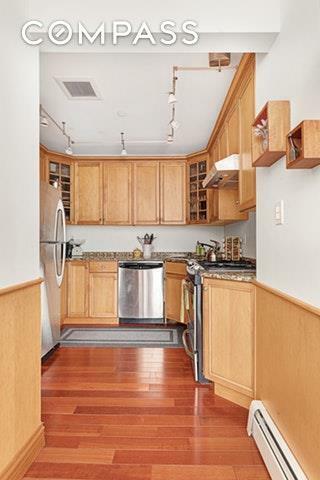 The chef's kitchen features granite counters, stainless appliances, and plenty of cabinets. The spacious bedroom has a large double closet, ceiling fan, and two windows overlooking the garden. Upgrades to the light fixtures and in-unit laundry make this a home not to be missed! 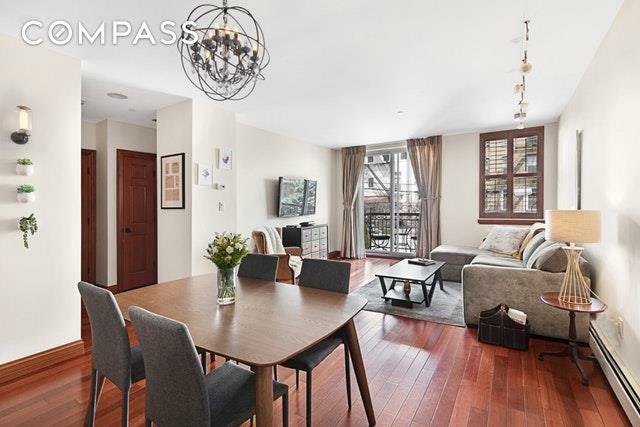 Get the old-world charm of Carroll Gardens while being just steps from the F and G trains, Frankie's 457, Caputo's, Whole Foods and all the night life on Smith and Court Streets. Pets allowed. Designated basement storage. Listing courtesy of Kelly Lenard-Chadwick of Compass.